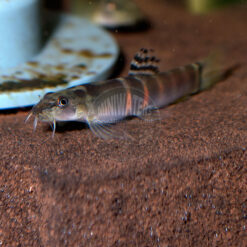 The Clown Loach, Chromobotia macracanthus, has been known by many other permutations of its scientific name, including Botia macracanthus and Botia macracantha. Clown Loaches are a perenial favorite in the aquarium hobby for good reason, they’re socialable, acitve yet not terribly aggressive. 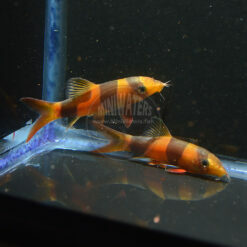 They’re extremely colorful and grow to large sizes (up to 1 foot). 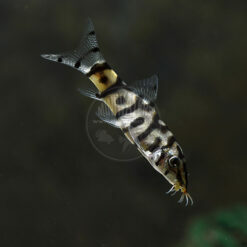 Plus, they’ll decimate pest snails. Breeding as a hobbyist hasn’t really occurred, but they’ve been farmed for years, as well as wild-harvested young and grown out for market during the off seasons of wild collection. 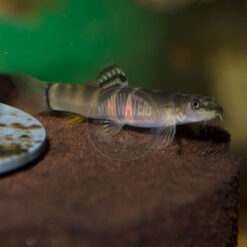 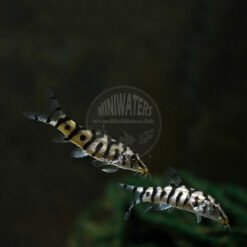 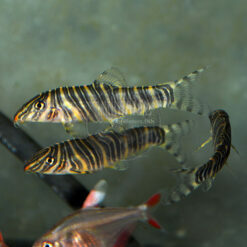 As such, it’s difficult to say whether a Clown Loach is wild caught, tank-raised from wild, or truly captive-bred. 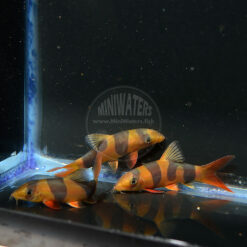 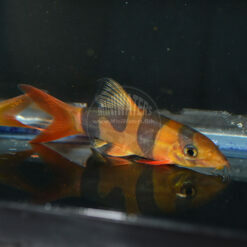 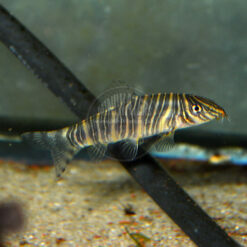 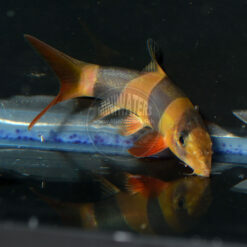 Our medium clown loaches are approximately 2″ in length.